Nature is always speaking to the people and providing lessons in different ways. But most of the time you don’t pay attention to see with your eyes and hear with your ears to appreciate the lessons. In many cultures, the practical, aesthetic, and spiritual significance of bamboo tree is deeply embedded. The symbolism of the bamboo plant runs deep and offers many practical lessons for life as well as for work. Like all plants, the bamboo plant requires nurturing through water, fertile soil, and enough sunlight to ensure the growth. When you plant a bamboo tree, make sure to give it enough water, the right kind of soil, and proper exposure to sunlight but you must remember that there will be no visible growth in the first year. After the second year, nothing will grow above the ground while you keep nurturing it. If you continue to nurture it for the third and fourth year nothing will be visible at all. But in the fifth year; you will see the bamboo tree growing to 80 feet within just six weeks. This means that the nurturing of the tree for four years didn’t get wasted, the bamboo tree was growing under the ground, and you were not able to see it. It is because a bamboo tree grows super tall and therefore, it requires a strong foundation of developing a root system to support its outward growth. The story of the bamboo tree can be very well related to people who are trying to establish their own business. It explains that the first few years of the business you have ventured into, will be extremely difficult because there would be no visible growth in front of your eyes. This is the point where most people give up but if you keep on nurturing it like the initial years of a bamboo tree, there will be significant growth once the foundations get into place. An important lesson to learn from the story of a bamboo tree is that success cannot be attained quickly. Even if you pour in the hard work and dedication, you will not be able to achieve your goals right away. Therefore, expect to take longer to achieve your desired goals and have patience. 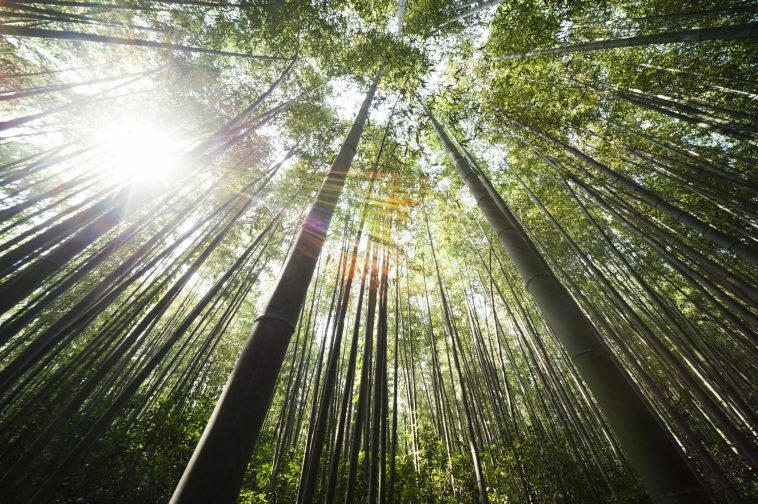 Just like a bamboo tree, your business needs to have a strong foundation. Instead of rushing for the outcomes, spend time on building a strong foundation especially if your goals are big and your dreams are beyond your current level. A bamboo tree cannot grow if it is not nurtured consistently. The plant will die if only you keep the nurturing for the first month. Similarly, your goals and dreams work that way. You need to put consistent effort to turn your goals into a reality. Engaging in procrastination will make you forget what your actual dreams are. Therefore, never let yourself procrastinate and always keep your dreams in your head. An important thing to remember from the story of the bamboo tree is to have a firm belief in your own self. If you want to be successful, you will have to believe that things will work in one way or another. Success will never come to you fast, you will have to stay persistent with your work and have patience. Most of the people fail because they don’t have the patience and they achieve nothing through their get-rich-quick schemes. Therefore, no matter what happens, have patience and persistence and never give up.